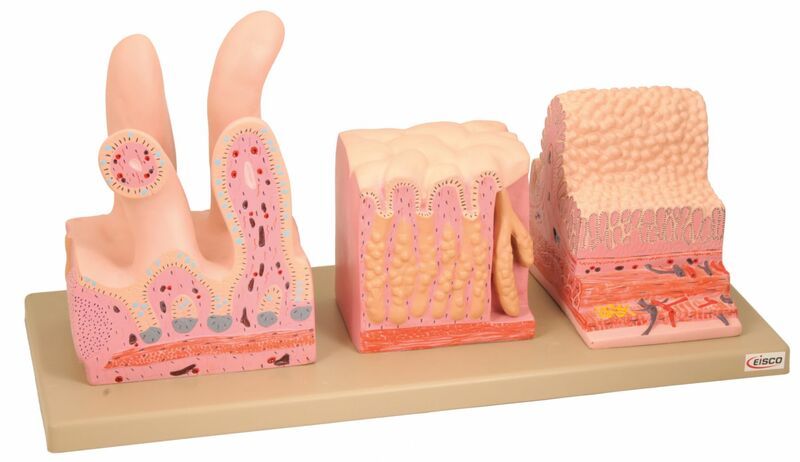 This model features three views of villi of the intestine and how they aid with absorption. 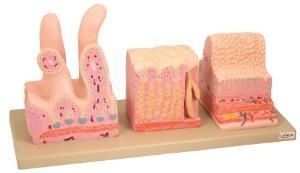 The first view shows the general structure of the intestinal wall. The second view displays the surface of the villus and third view is magnified to show the veins and arteries below the surface.